Elvis Presley the undisputed King of Rock N’ Roll, has returned to the top of the official UK album charts, with If I Can Dream: Elvis Presley with the Royal Philharmonic Orchestra. The album, released by Sony Music Entertainment, sold 79,053 in its first week of release, making it the third quickest selling album of the year to date. Elvis is now the first solo artist to ever have a UK No. 1 album in five different decades, beginning in 1956 with ‘Rock ‘N’ Roll’. In total, Elvis’ chart-topping album history spans across 59 years. If I Can Dream: Elvis Presley with the Royal Philharmonic Orchestra is the King’s 12th UK #1 album – and sees him move into joint second place with Madonna, behind only The Beatles, for most UK No. 1 albums of all time. Elvis is the biggest-selling solo artist of all time, having – astonishingly – sold more than ONE BILLION records worldwide. If I Can Dream: Elvis Presley With The Royal Philharmonic Orchestra is a remarkable album that features classic Elvis vocal performances with brand new orchestral accompaniments as well as a duet with Michael Bublé. If I Can Dream is part of the on-going ELVIS 80th Birthday Celebration in 2015. 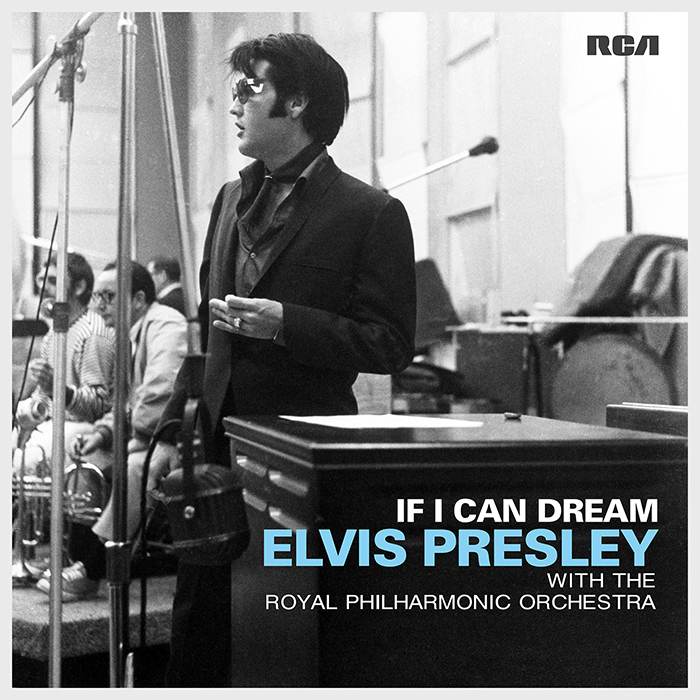 If I Can Dream: Elvis Presley With The Royal Philharmonic Orchestra is available now on CD/download and super deluxe box set featuring 3 additional tracks on CD, 2LP and poster. List of UK #1 albums by Elvis Presley: Rock N’ Roll (1956), Lovin’ You (1957), King Creole (1958), Elvis Is Back (1960), G.I. Blues (1960), Blue Hawaii (1961), Pot Luck (1962), From Elvis In Memphis (1969), 40 Greatest Hits (1975), Elvis – 30 #1 Hits (2002), The King (2007), If I Can Dream Elvis With The Royal Philharmonic Orchestra (2015).